He added that “attacks” against Al Aqsa had increased recently, “especially by settlers storming Al Aqsa under the protection of the Israeli forces” – a reference to ascents by Jewish pilgrims to the Temple Mount, which is the holiest site in Judaism. (CNN) — It’s not quite as epic as posing with a tiger a la Vladimir Putin. But Syria’s Bashar al-Assad has joined Instagram and the photos are propagandastically fantastic. No ugly images of bloody battle fields taint the feed of the president caught in the middle of a brutal civil war. Instead, it’s photo after photo of him and his wife being caring — and being loved. There’s al-Assad talking to a little girl by the side of a hospital bed. There’s his wife wiping away a little boy’s tear. 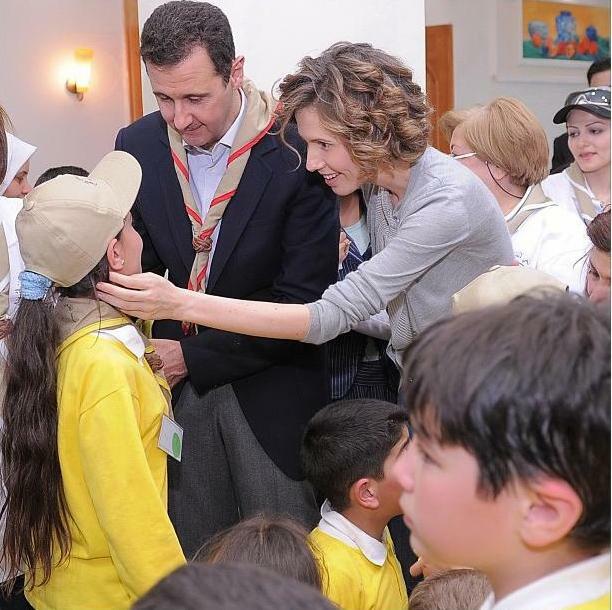 There’s al-Assad intently listening to a group of women. There’s his wife intently listening to a group of women. And lots of pictures of him being mobbed, greeted, hugged by adoring masses. The embattled president announced he was adding Instagram to his social media blitz last week via a message posted to his Twitter account. He also has his own Facebook page and a YouTube channel. And, judging from the comments, fans in Syria, Russia and Turkey. “God bless you,” “We love you,” and “We want you to win this war” are common comments posted on the images. Syria’s main Kurdish militia on Tuesday issued a call to arms to all Kurds to fight jihadists after the assassination of a Kurdish leader, a watchdog said. “The Committees for the Protection of the Kurdish People (YPG) called on all those fit to carry weapons to join their ranks, to protect areas under their control from attacks by Islamic State of Iraq and the Levant (ISIS) fighters, Al-Nusra Front and other battalions,” the Syrian Observatory for Human Rights said. The Kurdish call comes hours after Isa Huso, a member of the Supreme Kurdish Council diplomacy committee, was assassinated as he left his house in the Syrian Kurdish city of Qamishli, a pro-Kurdish news agency said. The Supreme Kurdish Council is a platform bringing together Kurdish groups in Syria. The call to arms comes weeks into fighting between Kurds and jihadists in several areas of northern Syria. Iran has dispatched a consignment of humanitarian aids, consisting of 4,000 packages of foodstuff, to Lebanon to be distributed among displaced Palestinians living in twelve refugee camps in the Arab country. In a ceremony held at Iran’s Embassy in Beirut on Monday, Iranian Ambassador to Lebanon Ghazanfar Roknabadi delivered the packages to representatives of Palestinian political and religious groups. Roknabadi laid special emphasis on the right of the oppressed Palestinian nation to determine their own destiny and return to their homeland, adding that the Iranian nation and government will continue to firmly support the Palestinian cause until all Israeli-occupied Palestinian lands are liberated. The representatives present in the ceremony praised the late founder of the Islamic Republic Grand Ayatollah Ruhollah Khomeini for naming the last Friday of the Muslim holy fasting month of Ramadan as International Quds Day, and Iran’s unwavering support for the Palestinian cause. On Quds Day, Muslims across the world hold street rallies in support of Palestine. Palestinians are seeking to create an independent state on the territories of the West Bank, East al-Quds, and the Gaza Strip and are demanding that Israel withdraw from the Palestinian territories occupied in the Six-Day War of 1967. There is increasing evidence that Hamas is reconsidering its alliances after having distanced itself from Iran and Hezbollah following the outbreak of the Syrian crisis. The news has sparked a great deal of speculation. “Both sides stressed that their common enemy is Israel, with the understanding that each side understands the other’s position regarding areas of difference,” he added, “particularly when it comes to the situation in Syria.” He denied that the improvement in relations between Hamas and Iran was in any way connected to recent developments in Egypt. 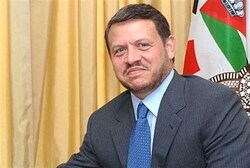 A close observer of these discussions explained that earlier attempts at reconciliation – after both the rise of the Muslim Brotherhood in Egypt and Tunisia and the emergence of strong differences over the Syrian crisis – had failed, due to the views of a substantial faction within Hamas that saw alternatives in both political and financial assistance. The same source added, however, that in a very short time it became clear that the new sources of aid fell short of expectations. Worse yet, Iran had simply diverted its assistance to rival resistance factions in Gaza like Islamic Jihad, the People’s Front for the Liberation of Palestine (PFLP), and an armed group affiliated with Fatah. Sources pointed out that while Hamas insisted on their differences over the Syrian crisis, the other side raised concerns about the Palestinian movement’s growing involvement in the rise of the Brotherhood, causing the group’s neglect of its resistance activity in favor of helping Islamist movements consolidate power. Several weeks ago – after the military wing of Hamas warned of supply shortages – a movement delegation headed by Mousa Abu Marzouq came to Lebanon and held private meetings at the Iranian embassy and with Hezbollah officials. The meetings produced the following largely positive results: 1) resumption of Iranian financial aid to Hamas, though less than pre-crisis amounts; 2) opening direct channels of communication between Hamas and Hezbollah, particularly over the issue of keeping the Palestinian refugee camps out of the mounting Sunni-Shia tension in Lebanon; and 3) preparation for a leadership meeting between Hezbollah and Hamas, after the latter complained that Hezbollah Secretary General Hassan Nasrallah had not received a high-level Hamas delegation in quite some time.